The Department of Management studies is affiliated to Anna university of Technology, Coimbatore. It was established in the academic year 2009-2010 with the purpose of nurturing the management and professional skills among the rural background students. It offers a well balanced curriculum and co-curriculum activities to the students. Management Studies in Tagore provides basic inputs in management. It provides a strong foundation for future learning. The focus is on providing integrated approach to different functional areas of management. The department plans to provide functional expertise to the students in their area of interests. The qualified and energetic faculty team is taking forward the department by transforming young graduates as future Managers and Entrepreneurs. The fully air conditioned computer lab at the Institute is equipped with superior facilities and advanced software. High speed Internet access is provided to the students in the computer lab through a broadband internet connection. The lab is enriched with electronic data bases such as EBSCO, EMERALD and ABI Info to provide access to current and back issues of important journals. CMIE PROWESS, Industry Analysis and CAPEX have been provided for important economic and corporate data. To offer important analytical tools to the students, the lab is harnessed with various software packages such as SPSS, MATLAB, TALLY, QUEST, HARVARD GRAPHICS and ENGLISH MASTERY. 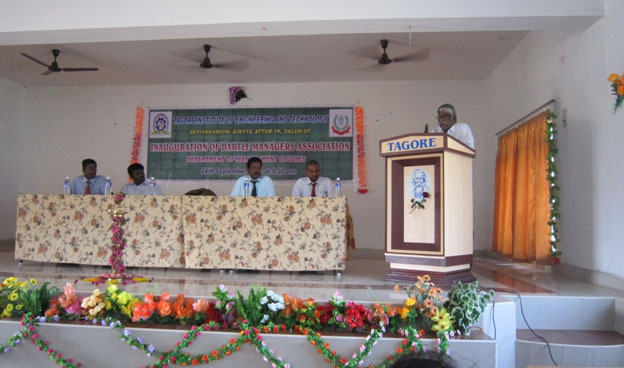 Department of Management Studies inaugurates "DARTLE MANAGERS ASSOCIATION" on 24th September, 2011. The association was inaugurated by Dr.M.G. Saravanaraj, Head, Department of Management Studies, Muthayammal Engineering College, Rasipuram, Namakkal (DT). Department Association conducted business quiz, debate and several management games on 24th September 2011 for the improvements of student's competencies. In future, we plan to organize subject wise Guest lectures, seminars and conferences. Our department has inaugurated the association which is named as “SPROUT” on 19.09.2017. The association is mainly instituted to develop the co-curricular activities of the students in order to induce the career stages. 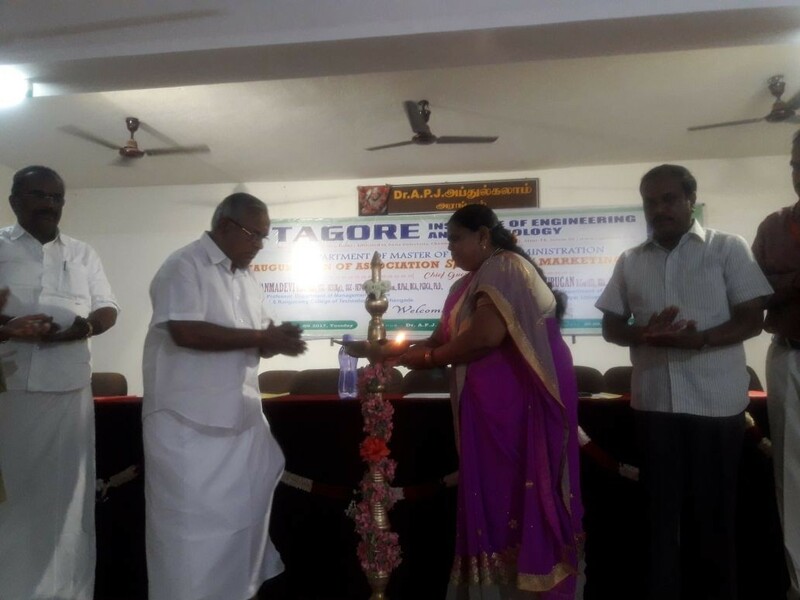 The association is inaugurated by Prof. Dr. R. Seranmadevi, M.B.A.,Ph.D., K.S.R.School of Management, K.S.Rangasamy College of Technology, Tiruchengode who graced the function as a chief guests. She delivered the inaugural address by inaugurating the association activities SPROUT – “Smart Step to Glow”. The association Secretary, Joint-Secretary, Treasurer and Other office bearers are nominated during the inauguration. Our Management Chair persons President Thiru R.Lakshminarayanan, Secretary Thiru R. Arunkumar, Joint-Secretary Thiru R. Muthusamy Vice-President Thiru R. Chinnusamy, Treasurer Thiru P. Kaliyannan, Educational Council Committee Member Thiru Kootroad N.R.Palanivel and Directors Tagore Educational Institutions have felicitated the gathering and Dr.S.Senthilkumar, Principal TIET have preside over the function. Our department has organized a one day lecture programme by the external resource person. The lecture was given by Prof. Dr. R. Seranmadevi, M.B.A.,Ph.D., K.S.R.School of Management, K.S.Rangasamy College of Technology, Tiruchengode on 19.09.2017. She gave the lecture on the topic named as “Impact of GST and Inflation”. Nearly 90 candidates and 7 faculty members have take part in the guest lecture programme. Our Management Chair persons President Thiru R.Lakshminarayanan, Secretary Thiru R. Arunkumar, Joint-Secretary Thiru R. Muthusamy Vice-President Thiru R. Chinnusamy, Treasurer Thiru P. Kaliyannan, Educational Council Committee Member Thiru Kootroad N.R.Palanivel and Directors Tagore Educational Institutions have felicitated the gathering and Dr.S.Senthilkumar, Principal TIET have preside over the session. The forum has instituted by our department on 20.09.2017 in order to create the practical exposure on the function and field of human resources and marketing. Dr.R.Balamurugan, M.B.A., Ph.D., Assistant Professor, PRIMS, Periyar University, Salem has graced the function as a chief guests and constituted the forum activities. Our Management Chair persons President Thiru R.Lakshminarayanan, Secretary Thiru R. Arunkumar, Joint-Secretary Thiru R. Muthusamy Vice-President Thiru R. Chinnusamy, Treasurer Thiru P. Kaliyannan and Directors Tagore Educational Institutions have felicitated the gathering and Dr.S.Senthilkumar, Principal TIET have preside over the forum actions. Our department has organized the forum field talk by the external experts on 20.07.2017. The forum field talk is gave by the eminent personality from the Periyar University,Salem Dr.R.Balamurugan, M.B.A., Ph.D., Assistant Professor, PRIMS. He devotes the payroll, performance appraisal, relationship management and selling techniques with the catches title of “Sell points Vs Touch Points”. He gave a very great exposure in the field of human resources and marketing. The students from various institutions have also take part in the field talk. Our Management Chair persons President Thiru R.Lakshminarayanan, Secretary Thiru R. Arunkumar, Joint-Secretary Thiru R. Muthusamy Vice-President Thiru R. Chinnusamy, Treasurer Thiru P. Kaliyannan and Directors Tagore Educational Institutions have felicitated the gathering and Dr.S.Senthilkumar, Principal TIET have preside over the event. Our department has organized the national level workshop on SPSS and AMOS titled “Enhancing Research Competency through SPSS AND AMOS Software” on 12th March 2018 for the benefit of students and faculties regarding the research knowledge. 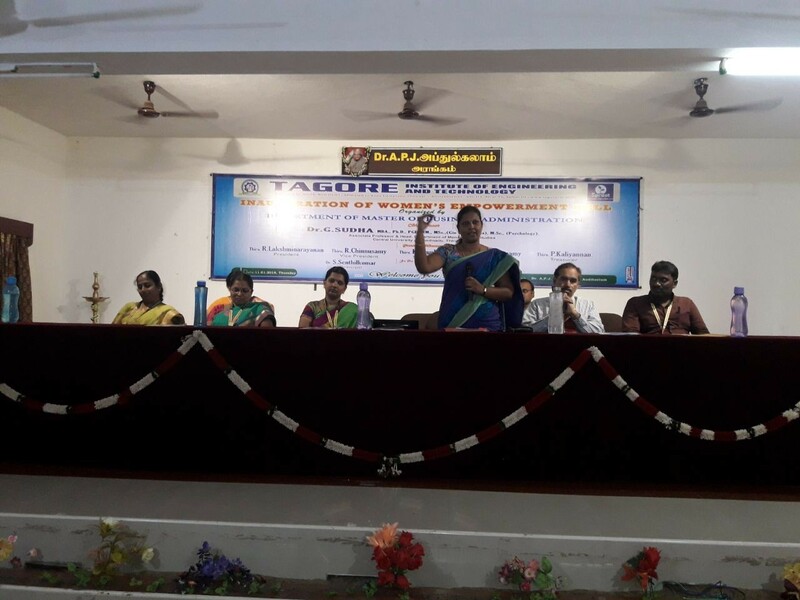 The workshop is mainly designed for the students and the faculties for their report generation and document development.TheWorkshopisconductedbyDr.M.SAMPATHNAGI,MBA.,M.Sc.,(Psychology),M.Phil.,Ph.D.,Assistant Professor, Department of MBA, Central University, Thiruvarur. Our Management Chair persons President Thiru R.Lakshminarayanan, Secretary Thiru R. Arunkumar, Joint-Secretary Thiru R. Muthusamy Vice-President Thiru R. Chinnusamy, Treasurer Thiru P. Kaliyannan and Directors Tagore Educational Institutions have felicitated the gathering and Dr.S.Senthilkumar, Principal TIET have preside over the event. 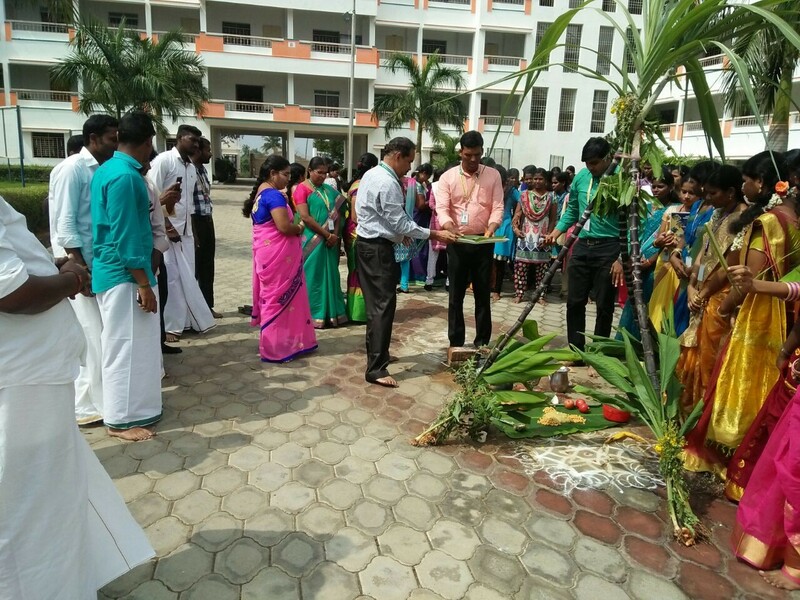 Our department has organized the event of pongal festival celebration in the college campus on 11.01.2018. The cultural values are instituted among the students by celebrating these functions. Our Management Chair persons President Thiru R.Lakshminarayanan, Secretary Thiru R. Arunkumar, Joint-Secretary Thiru R. Muthusamy Vice-President Thiru R. Chinnusamy, Treasurer Thiru P. Kaliyannan and Directors Tagore Educational Institutions have felicitated the gathering and Dr.S.Senthilkumar, Principal TIET have preside over the event. Our department has organized the inaugurating activities of Women Empowerment Cell for the benefit of entire women community in the institution. The cell is developed to build the courage and confident among the women gender particularly in the student community. The cell is inaugurated by the charming personality Dr.R.Sudha, M.B.A., Ph.D., Head & Associate Professor / MBA, Central University, Thiruvarur. 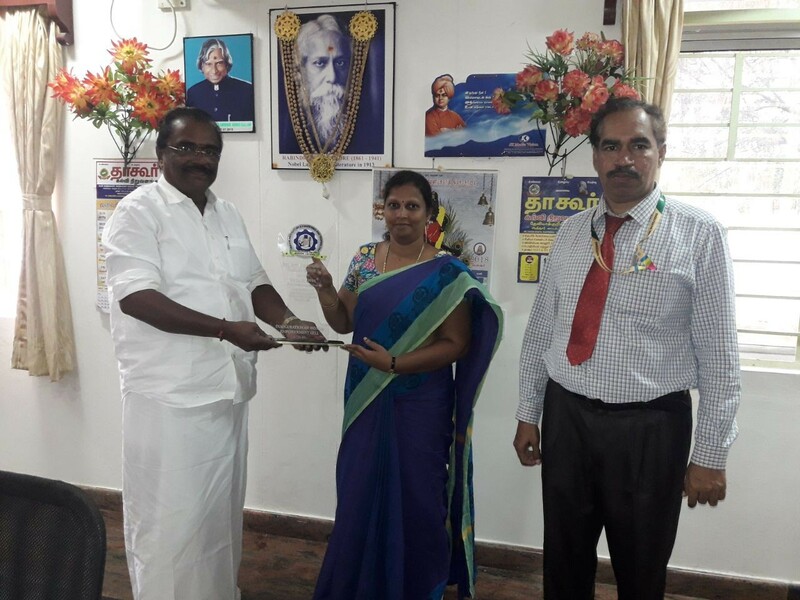 Our Management Chair persons President Thiru R.Lakshminarayanan, Secretary Thiru R. Arunkumar, Joint-Secretary Thiru R. Muthusamy Vice-President Thiru R. Chinnusamy, Treasurer Thiru P. Kaliyannan and Directors Tagore Educational Institutions have felicitated the gathering and Dr.S.Senthilkumar, Principal TIET have preside over the event. 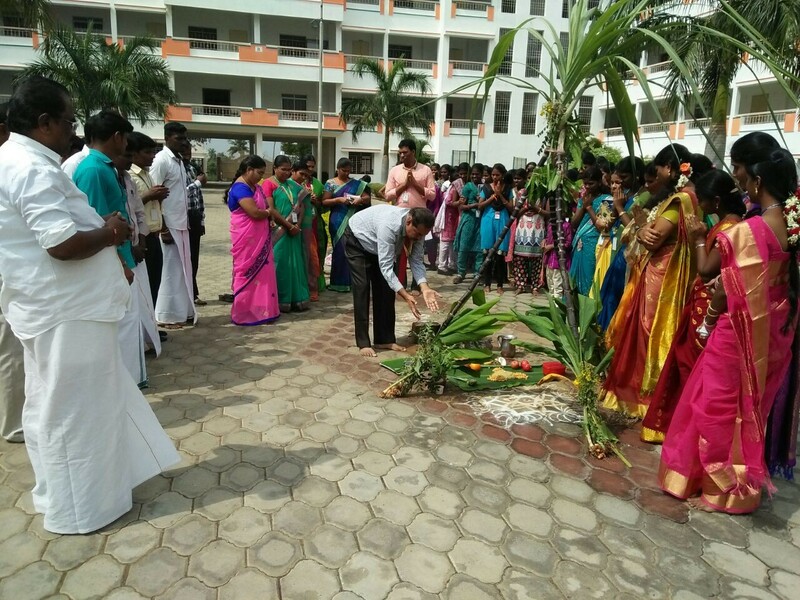 Our department conducted the inaugural function of MBA association SPROUT on AUGUST 29, 2016. 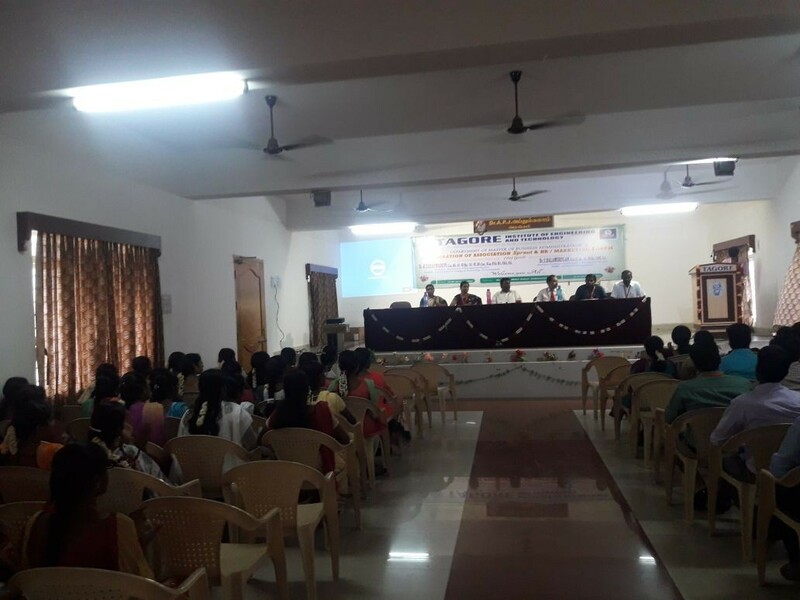 In this programme, Mrs.S.Chitradevi, AP/MBA welcomed the gathering. Further, Dr.S.Senthilkumar, Principal delivered a principal address and expresses the views of management. Then, Mrs.M.J.Priya, AP/MBA introduced the office bearers. Chief Guest Dr.D.Kumaresan, Principal, Minerva College of Arts & Science, Jalakantapuram inaugurated the association and delivered the motivational lecture on “Make It Happen”. He insisted everything happened by our effort, Everyone having the skill so it’s our determination to provoke the attitude. Thiru R. Lakshminarayanan, President Tagore Educational Institution delivered the keynote address, Prof.R.Paramasivam Engineering College Committee Member, Tagore Educational Institution delivered the presidential address, they insisted the need of management in all aspects of activities whichever carried out in our life. Then Thiru.N.R.Palanivel Educational Council Committee Member, Tagore Educational Institution felicitate the gathering with the words of great achievers in the general life. Finally, the vote of thanks given by Mr. Mrs. A.Buvaneswari AP/MBA . Nearly 100 students were attended the programme and well-cooperated the function. 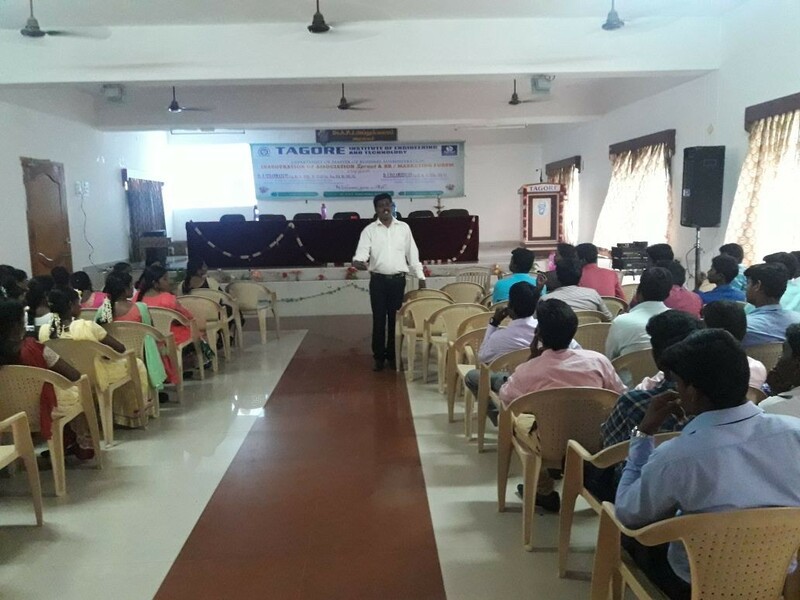 Our department conducted the Inter – Department Meet (TECOREM-2K16) on AUGUST 30, 2016. 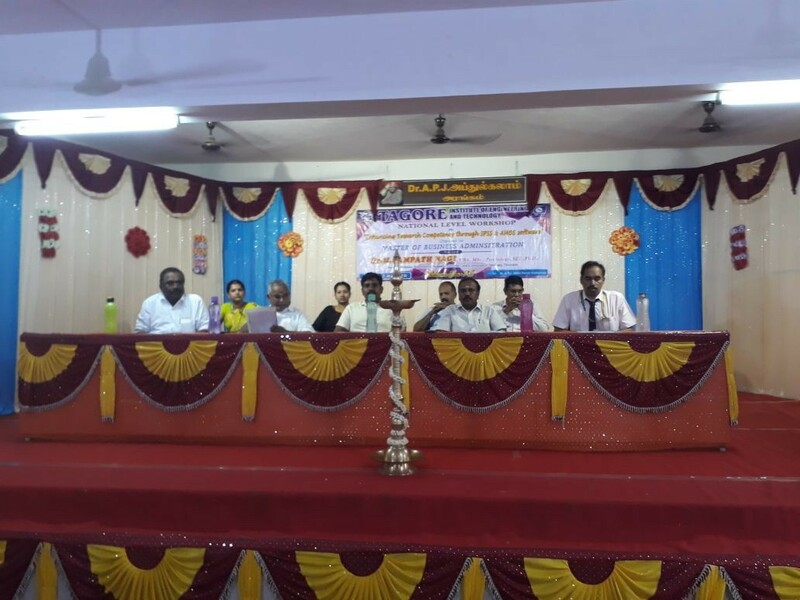 In this programme, Mr.R.Thirunavukkarasu HOD/MBA welcomed the gathering. Further, Dr.S.Senthilkumar, Principal delivered a principal address and expresses the views of integrity and integration between the science and management. Then, Dr.J.Arul, AP/MBA introduced the events conducted during the programme. 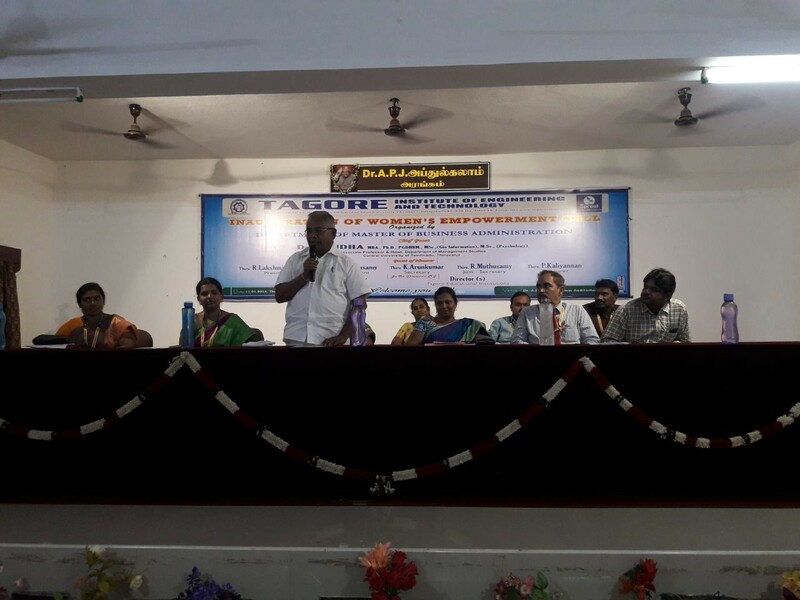 Chief Guest Prof.R.Paramasivam Engineering College Committee Member, Tagore Educational Institution delivered the presidential address with the words of managing ability. The below mentioned Events were conducted for the students belongs to various engineering backgrounds. The winners were awarded with gift and certificates. Finally, the vote of thanks was given by Mr. Mrs. M.J.Priya AP/MBA. Nearly 100 students were attended the programme and well-cooperated the function. Our department inaugurated the finance forum (TAGFINP-2K16) on AUGUST 31, 2016. 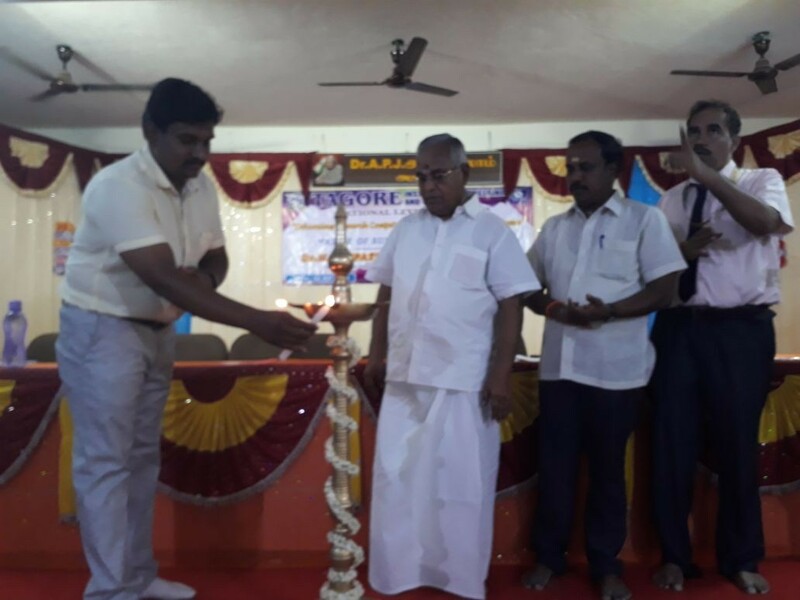 In this programme, Mr.R.Thirunavukkarasu HOD/MBA welcomed the gathering. 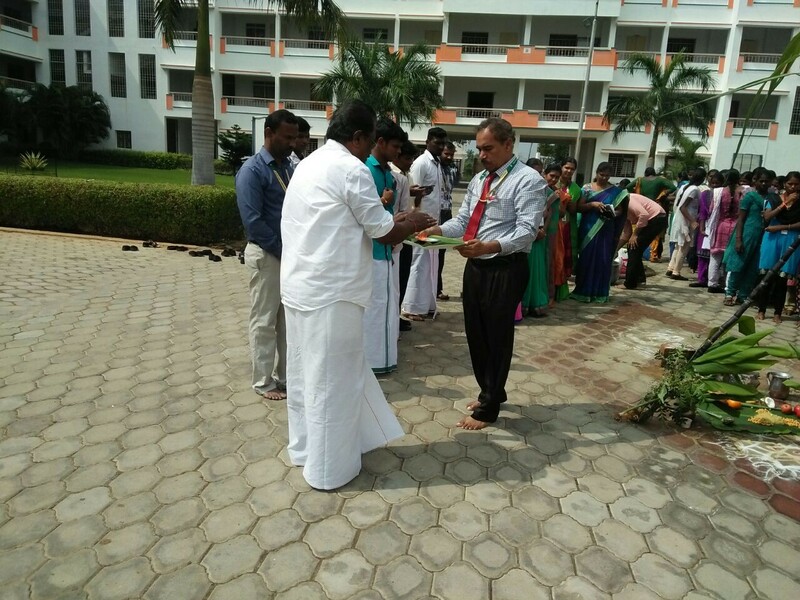 Further, Dr.S.Senthilkumar, Principal delivered a principal address. Chief Guest Mr.P.Krishnan, Director, Galaxy Export Training Consultancy, Sivakasi delivered the special lecture on the Export and Import Management and inaugurated the finance forum. Finally, the vote of thanks was given by the association student secretary. Nearly 85 students were attended the programme and well-cooperated the function. 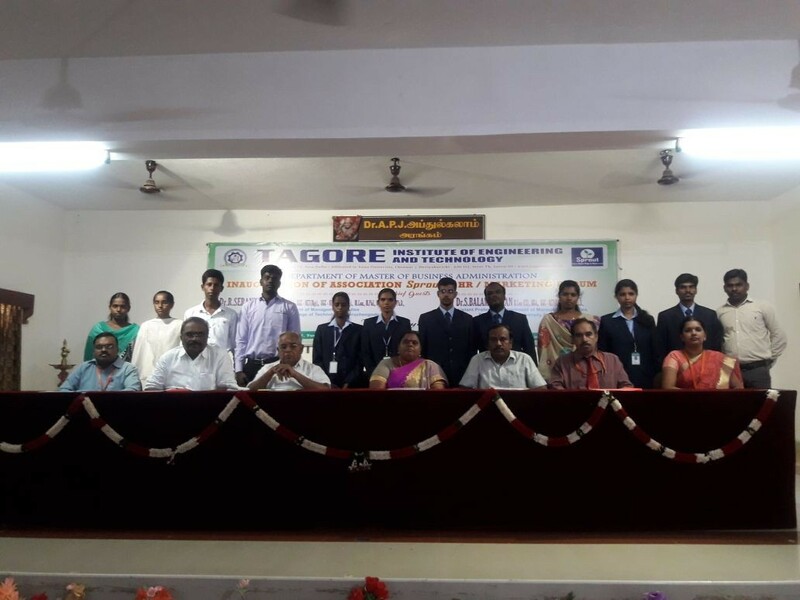 Tagore Institute of Engineering and Technology Celebrated “NATIONAL YOUTH DAY” on January 12, 2017. In this programme, Dr. T. Krishnakumar., YRC Co-ordinator & HOD, Department of the Science & Humanity given a welcome address and Dr.S.Senthilkumar, Principal delivered a principal address. Mr.M .Venkatesh, NSS coordinator & Assistant Professor, Department of Civil Engineering to deliver the past life of my honourable chief guest. The honourable chief guest Thiru K.Lakshmanan Melody song debate moderator to deliver the chief guest address. NSS Volunteers (students) Keenly listen to the history of Swami Vivekananda and his preaching’s also a pledge. And all of the students take this pledge. Thiru R . Lakshmi Narayanan, President, delivered the presidential address. 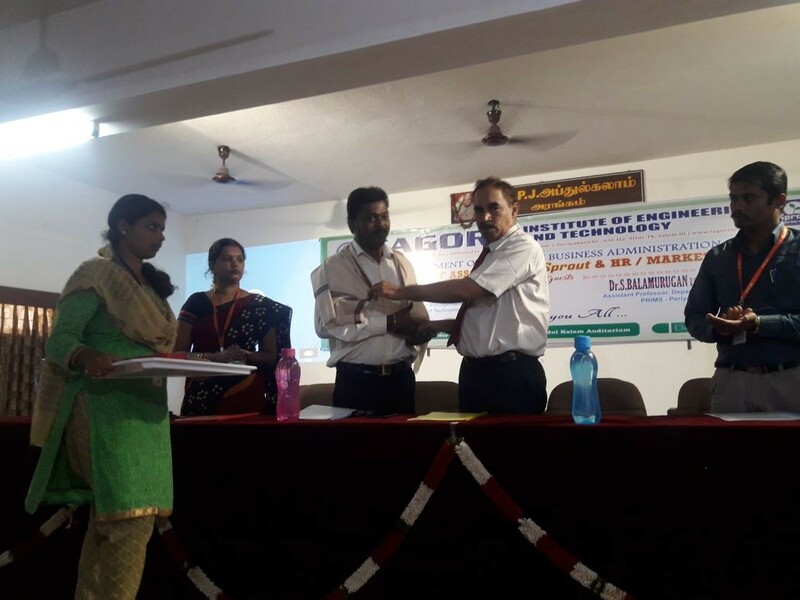 The felicitation address was given by the Thiru R.Muthusamy Director, Tagore Educational Institution and Board of directors management members. Finally the vote of thanks given by Mrs. S.Chitra Devi Assistant Professor, Department of Master of Business Administration.